Going through a divorce isn’t an easy journey. It is the most painful event to encounter in life. Most people go through a divorce due to various reasons. Perhaps, the relationship isn’t going on the right track or all of a sudden partners started misbehaving. 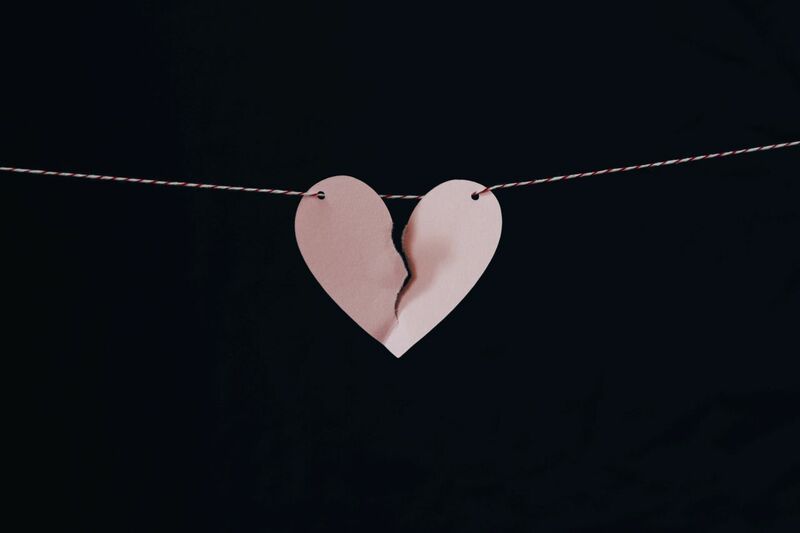 Whatever the reason is, it is essential to understand that if one decides to go through a divorce, then he or she must be ready to face the outcome. Now if you aren’t the person getting through a divorce but your boyfriend who is currently divorcing his ex-wife. There are ways to support him through this. DivorceNet will give you those different steps to follow. Firstly, helping someone, in general, to get through a divorce isn’t an easy task. There are instances where the person gets hard on you and start transferring his or her feelings of aggression, hatred, pain, and frustration on all you. Most especially the men. They get angry easily over trivial things and hate to be questioned by anybody. When you find yourself in this situation, one of the main things to do is be a good listener. But how? Like mentioned earlier. Men going through divorce hate to be criticized or questioned by anybody. They want to express themselves without being interrupted. In this case, you have to listen carefully to all what they have to say. Do not try to ignore his sorrows about divorcing his ex-wife. Let him say all that he has to say without being criticized by you. Give him the advice he needs when he asks for it but do not try to judge his feelings or thoughts. Going through a divorce is extremely hurtful. At this point, he finds it difficult to deal with feelings of anger, depression, frustration, and hatred. He’s emotionally, physically and mentally hurt about the situation. He feels vulnerable and finds it hard to let go of his emotions. He may also feel very disappointed, isolated and unhappy with himself. However, you shouldn’t take advantage of him in this state by looking for ways to solve his problems or saying how much you love and care for him. Help him heal or recover from such trauma before you start a new relationship with him. It is normal for you to ask him too many questions about the situation. You may want to know the full details about the divorce. Especially when you are in a relationship with him or you are already having romantic feelings for him. However, it isn’t right to bother him with many questions in this situation. He may see this as a disturbance and may start acting aggressively towards you. He may not be ready to reveal everything about the divorce or talk all about the painful feelings he felt. Once your relationship with him deepens, he will have to tell you everything about the divorce because he owes it to you. One of the things you can do to help a man get through his divorce is by doing something new and exciting with him. Maybe go on vacation trips or go for a hike. He is more likely to think of his divorce if he’s still doing the same things he and ex-wife used to love. If you want him to move on, then you should do new things together. Try not to force him if he’s not interested in the idea. You can ask him what he loves doing or what he always wanted to do but never had the chance. You can even encourage him to try new things and support him when he’s doing them. Perhaps you started dating him, and you think it is high time to introduce him to all your family friends and close pals. Or make the relationship publicly known because you want to keep him all to yourself. However, he may want to take things slow and give it time. You should try and be patient with him because he’s still trying to let go of the past. If you want the relationship to work, allow him to recollect himself for this new life he’s about to start with you. Even if it takes time. Even if you’ve dated him for a few months, he may not fully commit to the relationship. At this point, he’s still vulnerable and emotionally hurt about the divorce. You shouldn’t try to make a serious relationship with him. If you care for him, then you should make sure that he’s ready to start a new life with you or it is okay to be with a man who’s still trying to move on. We have looked at the different ways to support a man who is going through a divorce. Now in this section, we will learn those factors to consider when dating a divorced man. When you are dating a divorced man, you should know that he’s bringing in his past life into the new relationship. Therefore, things might be complicated and uneasy. Just as you have your past as well and may have been able to let go. He may still hold on to the past life he lived with his ex-wife and show deep remorse for doing so. However, the key to maintaining a successful relationship with a divorced man is by being open-minded and understanding. Here are a few factors to put into consideration. There is a BIG difference between being divorced and being separated from your ex. If he’s just separated from his ex-wife, then it means he hasn’t legally divorced her. He is still married to her but hasn’t filed for a divorce yet. He might also be in the process of divorcing his ex-wife. Make sure he’s divorced and not separated from his ex because you stand at risk of not getting his full attention or commitment to the relationship. Maybe you haven’t started the relationship with him yet, and you are still thinking of dating him. It is best to give him time to recover from the situation before any other thing. At this point in his life, he’s in a state of confusion and grief. He needs time to think about the circumstances and make the right decisions. He may want things to work out again with his ex-wife but still not sure if it is the right thing to do. In a case where you are already in a relationship with him, then you will have to take things to slow. You may want to know everything about his past which includes the divorce. What caused the separation? And so forth. However, you will have to give him time to tell you about it whenever he’s willing. Don’t rush him into saying those hurtful moments he experienced with his ex-wife if he’s not ready yet. If he’s still having big issues with his ex-wife, then you shouldn’t move forward with the relationship. Why? Because he will show no effort to make things work out between you and him. He won’t even be in the mood to make the relationship move forward. He will transfer those feelings of anger and stress from the previous relationship with his ex-wife to the new relationship he has with you. If he was manipulated and deceived in his previous marriage (especially during the divorce or separation), then there are possibilities that he won’t be able to trust any woman again. It may take time before he finally lets you in or believes in the feelings you have for him. When you find yourself in this situation, one of the best ways to win his trust is by being open-minded and honest with him. Don’t expect too much in the relationship. Try your possible best to maintain the relationship with him. You know already what you want by going into a relationship with a divorced man, and you will have to understand that you will be dating a man who’s yet to recover from his previous relationship. He won’t see remarriage as a priority because he went from married to being single and now he’s dating. Being honest with him is what makes the relationship grow strong. It takes time but eventually things will fall in place.